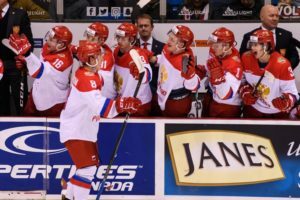 For the first time after 2014, the Russians won the Russia Canada Series. This time around, the team led by Valeri Bragin won four matches of six, and the momentum is good in sight of the upcoming World Juniors in Vancouver, BC. KHL players had a crucial role in most of the games and throughout the whole series. It has been a few years that Bragin’s team wouldn’t play so successfully at the Russia Canada Series, even more so considering that many projected leaders weren’t invited to the event. Players like Vitaly Kravtsov, Grigory Denisenko, and Nikolai Kovalenko instead competed at the U20 Four Nations tournament in the Czech Republic, where they finished second in the standings behind Team Finland. 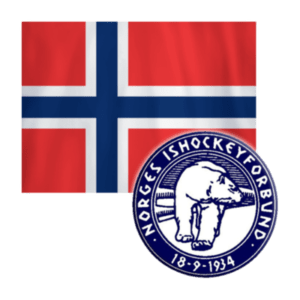 As it was in most of the recent editions, KHL representatives had a significant role in the team. The team’s top scorer was HC Sochi’s Stepan Starkov. He had two goals and six points in as many games, including a key third-period goal in the last game in the series against the QMJHL Stars to send the game to the overtime, where Dmitri Zavgorodny won the match for Team Russia. It’s not surprising that Starkov was the most productive player in the team, considering that he is the player with the most KHL games in the roster. Starkov played on a line with Ufa’s Pavel Shen and Omsk’s Alexander Yaremchuk. Both players had their impact on the series, although Shen probably looked better thanks to his more significant experience: he already has 12 KHL and 5 VHL games under his belt, while Yaremchuk only has seven with Avangard with limited ice time. Other forwards were less productive, but this doesn’t mean that they were less useful for the team. Lokomotiv’s Kirill Slepets was very active in most of the games and led Team Russia with 16 shots on goal. He found the net only twice, thus he will need to work on his finalization in sight of the WJC. However, he had an outstanding tournament and made a strong case for himself when it will be the moment to decide for the final roster in December. With Denisenko – Kravtsov – Kovalenko, and Starkov – Shen – Yaremchuk, Bragin may have two ready troikas for Vancouver. However, other players made a good impression, while some of the Russian players in the CHL may complete the roster. KHL Forwards on Team Russia: Stepan Starkov (HC Sochi), 6 games, 6 (2+4) points, +2; Pavel Shen (Salavat Yulaev), 6 games, 4 (3+1) points, +1; Ivan Muranov (HC Dynamo), 6 games, 3 (2+1) points, +3; Alexander Yaremchuk (Avangard), 6 games, 3 (1+2) points, +2; Kirill Slepets (Lokomotiv), 6 games, 2 (2+0) points, +1; Nikita Shashkov (Sibir), 5 games, 2 (1+1) points, +3; Bulat Shafigullin (Neftekhimik), 5 games, 1 (1+0) point, -1. On defense, the team did a great job in containing the Canadian forwards and not giving them much space and dangerous powerplay opportunities. The biggest surprise and one of the best players overall were Metallurg’s Savely Olshansky, who scored the game-winning, overtime goal in the sixth game and finished the tournament as the team’s top scoring defenseman with five points and the second scorer overall. If Olshansky will go on with such a solid game expect Metallurg to call him up more often. If Olshansky led all Team Russia with a plus-6 rating, the second-best defenseman was Evgeny Kalabushkin, with plus-5. The defenseman is part of the SKA’s system but is yet to debut in the KHL. CSKA’s Alexander Romanov was solid on the blueline, scored one goal and finished the tournament being plus-1. KHL Defensemen on Team Russia: Savely Olshansky (Metallurg), 6 games, 5 (1+4) points, +6; Alexander Romanov (CSKA), 6 games, 1 (1+0) point, +1; Alexander Lyakhov (Salavat Yulaev), 3 games, 0 points, 0. In goal, there has been another surprise. Pyotr Kochetkov, who already lined up for HC Sochi in the KHL, won all his three games and somewhat appeared more confident than his colleague Daniil Tarasov. The Ufa goalie won just one game. However, his performances can hardly be considered bad. At this point, it looks like Kochetkov is the prime candidate for being the number one goalie for Team Russia, but in a tournament like the WJC, anything can happen – especially if a goalie like Kirill Ustimenko will be added to the mix. KHL Goalies on Team Russia: Pyotr Kochetkov (HC Sochi), 3 games, 3 wins, 97,8% saves percentage.